Candida (CD-1) has the highest CBD and lowest THC content of any strain currently available on the seed market. 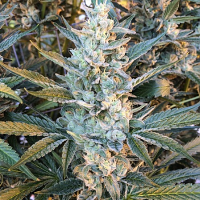 Candida (CD-1) Feminized Marijuana Seeds by Medical Marijuana Genetics Seeds: Candida (CD-1) has the highest CBD and lowest THC content of any strain currently available on the seed market. It was named after the founder of Medical Marijuana Genetics’ late mother and means ‘bright light’ in Latin. Our Laboratory results show CBD levels of between 20.6% and 10.9% CBD with THC levels rising with higher CBD levels - but never passing 1% THC. The balance between CBD and THC remains more consistent than any similar strain. With these ratios of CBD to THC, the anti-psychotic capabilities of the higher levels of CBD outweigh the relatively small amounts of THC, and effectively remove the "high", psychological effect, ensuring a non-psychoactive cannabis plant. 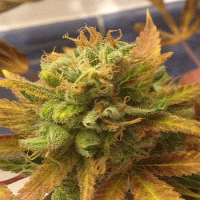 Candida will noticeably produce two different phenotypes; a sativa and an indica. Initial research has suggested that the sativa phenotype will produce lower, whispier yields often associated with sativa strains. We have noticed to date that the sativa pheno produces higher CBD counts. In comparison, the indica pheno will produce bigger, denser yields with lower CBD levels but still with significant CBD content. 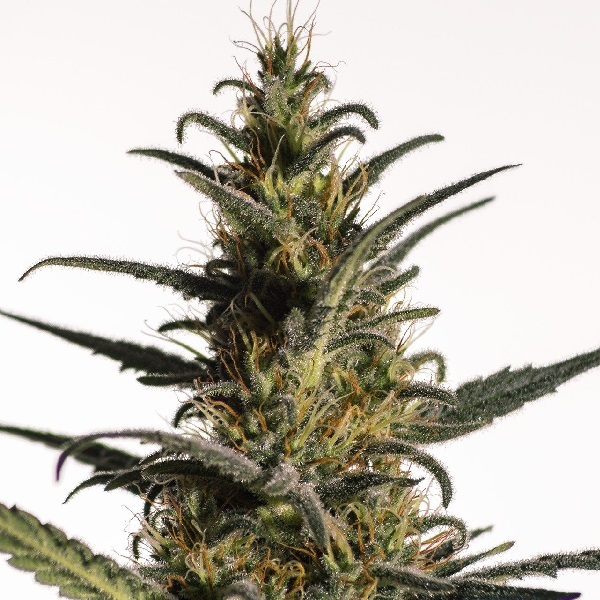 It is recommended to give good care to the sativa phenos as these can be harder to manage and will have larger distances between the internodes making the plants more vulnerable. Generally, the sativa pheno is better suited to making extractions than to smoking and vaping, whilst the indica pheno is suitable for all.